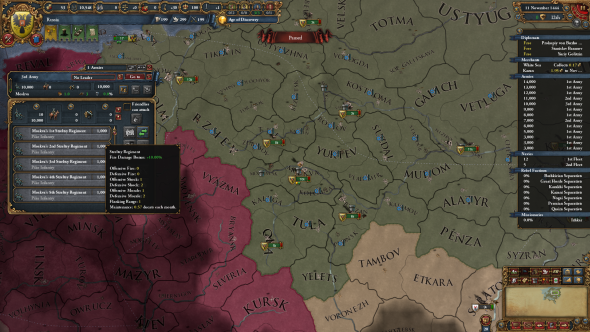 Updated June 15, 2017: The latest immersion pack for Europa Universalis IV is out now, with lots of upgrades for the Russian empire. We’ve not got much to say about this, but we want to point out that Paradox put “The road to Tsardom is yours to walk” in the YouTube description. This sort of punning must be named and shamed. For more from PDXCon 2017 earlier this year, check our dedicated tag. Original May 12, 2017:More classical world-conquering is coming our way, as Europa Universalis IV is expanding again with Third Rome, due “this spring.” It was announced during the PDXCon press conference today, and will focus on Russia. The above trailer was also shown though it doesn’t give you a lot more info. The description calls it an “immersion pack” and promises to build on the “incredible depth” of EU4. Johan Andersson will be continuing to develop it. “Europa Universalis is kind of my baby” he says of the series he’s been working on since 1997.